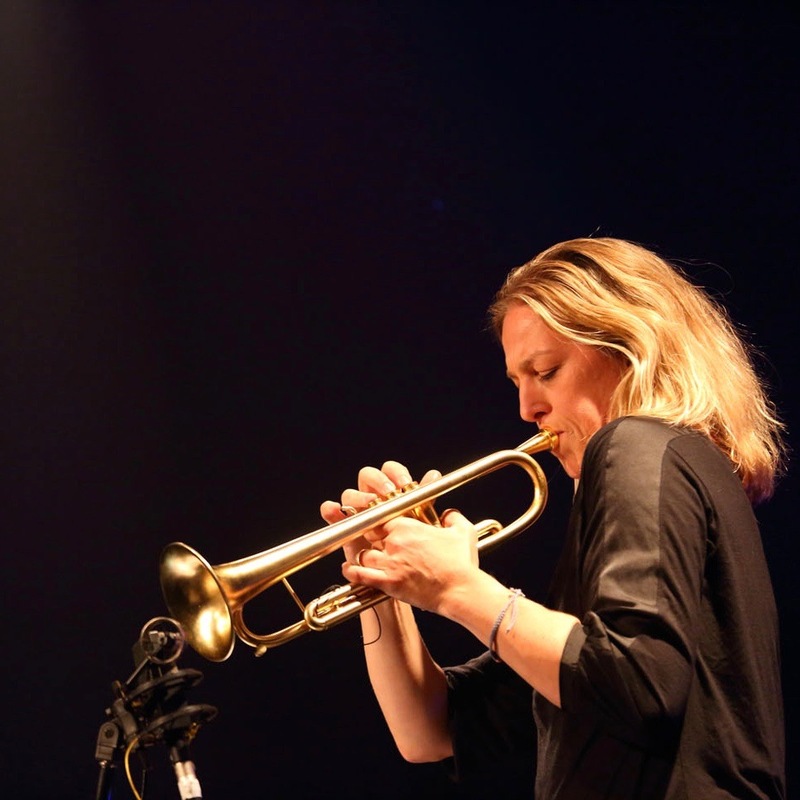 Born in Vancouver and raised in Nanaimo, British Columbia, Ingrid Jensen has been hailed as one of the most gifted trumpeters of her generation. After graduating from Berklee College of Music in 1989, she went on to record three highly acclaimed CDs for the ENJA record label, soon becoming one of the most in-demand trumpet players on the global jazz scene. After a teaching stint in Europe in her early twenties – as the youngest professor in the history of the Bruckner Conservatory in Linz, Austria – Ingrid settled in New York City in the mid-1990s where she joined the innovative jazz orchestras of Maria Schneider (1994-2012) and Darcy James Argue. More recently, Ingrid has been performing with the Grammy-winning Terri-Lyne Carrington and her Mosaic Project. Ingrid is a featured soloist on the Christine Jensen Jazz Orchestra’s Juno-award-winning album, Treelines (2011), and its successor, Habitat (2013). She has performed with a multi-generational cast of jazz legends ranging from Clark Terry to Esperanza Spalding; Ingrid has also performed alongside British R&B artist Corrine Bailey Rae on Saturday Night Live, and recorded with Canadian pop icon Sarah McLachlan. In addition to her busy sideman and featured soloist schedule, Jensen leads her own quintet, quartet and organ trio. Her own bands have garnered glowing reviews and a loyal fan base in Australia, South Africa, almost every country in Europe, across Canada, the US, South America (including Brazil, Peru and Chile), Japan and Mexico. Jensen is also a dedicated jazz educator, having taught trumpet at the University of Michigan and Peabody Conservatory, performing and lecturing as a guest artist with the Thelonious Monk Institute High School group featuring Herbie Hancock, and performing and teaching at the Centrum Jazz Workshop, The Dave Brubeck Institute, the Banff Centre Workshop in Jazz & Creative Music and the Stanford Jazz Camp and the Geri Allen Jazz Camp for young women. She is currently on faculty at both Purchase College and at the New School in New York. Since her victory at the Carmine Caruso Trumpet Competition in 1995, Jensen has since sat on the judges’ panel twice for said competition. She is regularly invited to trumpet festivals around the world, including a prestigious invitation in 2011 to work with classical trumpet maestro Håkan Hardenberger and the Swedish Wind Orchestra. Ingrid plays a custom Monette trumpet, built personally by the master builder Dave Monette. One of Ingrid’s most frequent and closest collaborators is her sister, the saxophonist and composer Christine Jensen. In addition to recent performances with the Christine’s Jazz Orchestra of their revamped version of Porgy and Bess, the sisters released an exciting small group recording entitled, Infinitude, on the Whirlwind label featuring the brilliant guitarist Ben Monder. Other projects Ingrid has been invited to lend her voice to include: David’s Angels (Sweden), Kari Ikonen (Finland), Marianne Trudel (Montreal), Ellen Rowe (USA), Adam Birnbaum (USA), Sharel Cassity (USA), Dwight Adams (USA) ,Tobias Meinhart (Germany/US), numerous all-star groups including a recent European tour with Renee Rosnes, Cecile Mclorin Savant, Allison Miller, Anat Cohen and Melissa Aldana.